Thanks to our amazing partners at the Carleton University Faculty of Engineering & Design, we have once again been granted office space on-campus for the 2018/19 school year. 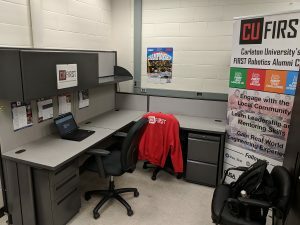 Our office is located in Mackenzie Engineering (ME) Room 3350, next to Leo’s Lounge and just around the corner from the Carleton Student Engineering Society (CSES) main office. We share the space with three other awesome clubs and societies: the Carleton University EngiQueers (CUE), the Carleton University Biomedical Engineering Society (CUBES), and the Sustainable and Renewable Energy Engineering Society (SREE Society). 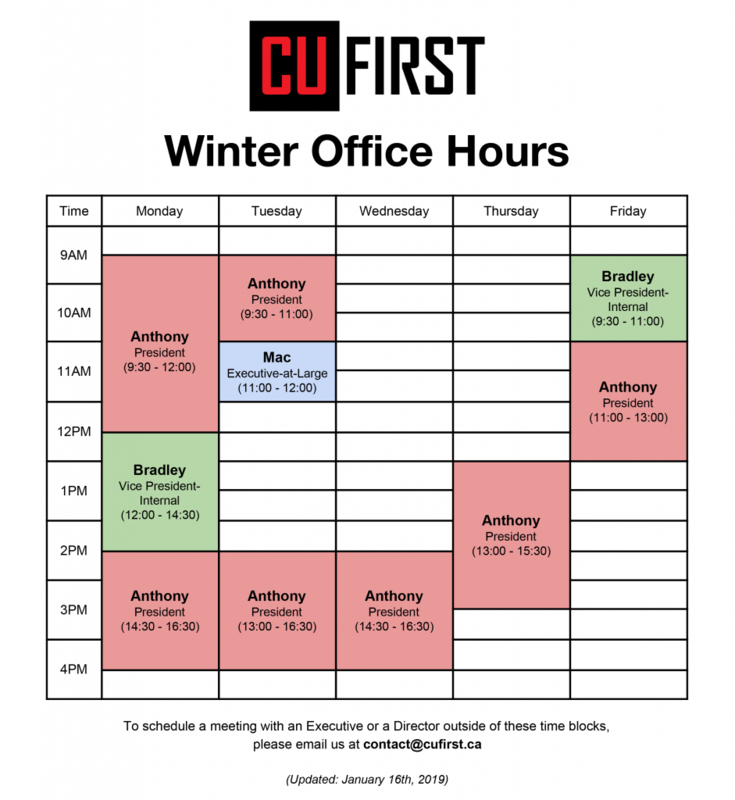 These office hours may be affected by holidays, school/building closures, or other unforeseen circumstances. For the most up to date information, check out our Google Calendar. To meet with an Executive or Director outside of the above scheduled Office Hours, please contact the individual directly to arrange an appointment or, if you aren’t sure who to talk to, contact us!